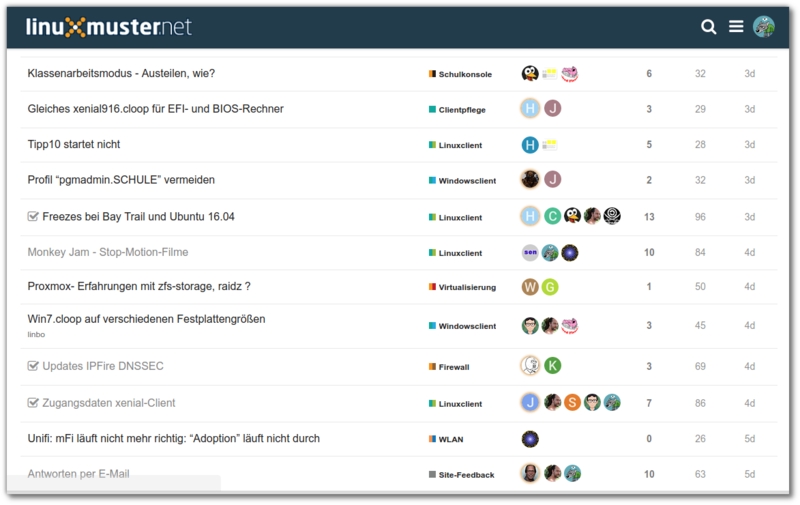 The central meeting point of the user community around linuxmuster.net is the Discourse Forum, which you can also reach directly at https://ask.linuxmuster.net. Although most of the discussions are in German there is a English category. Search all posts without registration. Ask questions, get quick answers. Direct contact with the developer group. Constructive exchange of ideas around the management of school IT in general.